In Mumbai, over 26,000 children die per year due to malnutrition. A cute little child enters the Chaudhari family, but with him comes along a long lasting sadness. Yash who is now 8 years old was born with deformity in his leg. His parents holding their first child in their arms could not gather the courage to react to his condition. Their tears didn’t stop and imagining Yash’s future made them shiver. As Yash was growing, his mother always found it difficult to send him to school. She feared that Yash might be left alone feeling he is different. Questions made round in her head when she thought of her son’s asking her why is he born this way. She always thought, would that be easy to answer? But on the other hand, Yash been very confident on his abilities was all ready to enter his school. He got so engrossed with the books, colors, friends and teachers, that he never felt he is special. He was one of them, just like them! Yash moved the ladder of his primary schooling with flying colors. Moved by Yash’s performance and dedication, his parents started researching for an alternate treatment for their son. A fortunate meeting with their family physician made them aware of prosthetic treatment. Their doctor suggested them to visit a renowned hospital in Mumbai for this treatment. But their hopes failed when they realized that their child’s case do not fit the hospital service. It was difficult for them to treat Yash as he had both the legs but with a length difference. A prostatic is only available when a person loses whole or part of his leg. The fateful day of 26/11 eroded the life of many people including the lives of many employees working at the Taj hotel-which turned out to be a battle ground for the terrorist and police. Faustin Basil Martis,49 had served at the Taj hotels for the past 27 years and breathed his last at the hotel when he was shot by the terrorists. Like many employees he decided to stay back and help the customers till the end. His daughter Priya too was an employee at the IT Department of the Taj , but survived the attacks and was rescued after 36 hours. Faustine’s son-Floyd Martis was just appearing for his SSC exams and was deeply shattered with the entire episode. The tragic death of his father made it hard for Floyd and their family to envision their future and the way ahead. Just when all hope was lost, Ratna Nidhis Educational scholarship landed as a blessing in disguise for Floyd Martis. With the aid of our scholarship he was able to do wonders with his life. 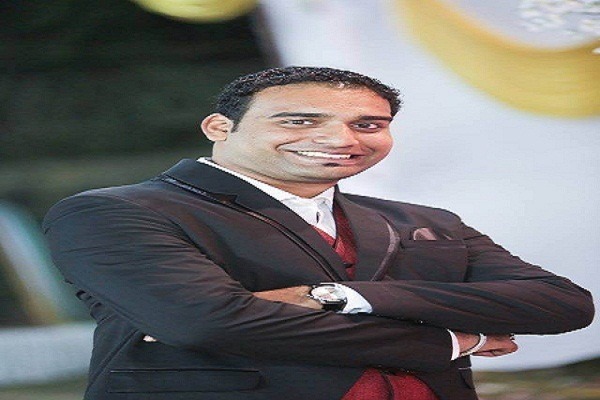 He was able to pursue his Bachelors in Engineering from Xaviers Institute of Engineering, Mumbai and is finally undergoing training as a Systems Engineer at Infosys, Mysuru. Ratna Nidhis scholarship and support enabled Floyd to fulfill his father’s wishes to become an engineer. Dreams are what got young Sonam to move from her village to the city of education. 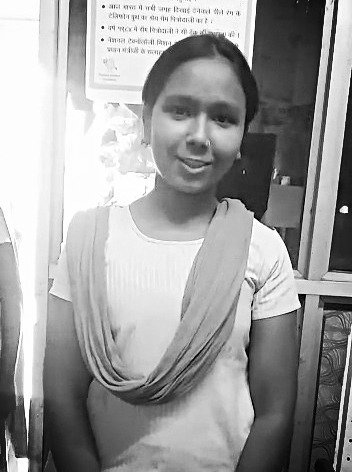 Our Food for Education Program nurtures her very dreams by ensuring that she receives her hot nutritious meal, that helps her focus in class and remain healthy enough to face challenges in the path of her dreams.Currently studying in Class 8 at the Shivneri School in Mankhurd Govandi, She aspires to be a singer one day. Our mobility and hearing aids project is an attempt to bequeath a new life to each of those who have been deprived of the basic privileges of mobility and hearing for most of their lives. We do this by organizing mobility camps where we distribute various aids such as calipers, Jaipur foot, tricycles, wheelchairs, crutches & Hearing Aids free of cost to every deserving beneficiary who comes to the camps. We have been one of the pioneers in organizing such mobility camps have worked in Leh, Kargil and Srinagar, Gujarat and many more places across India and other developing nations abroad. Till date we have been able to reach out to an astounding figure of over 2, 47,532 disabled beneficiaries. Fitting of Calipers to polio-affected children/youth. Fitting of Jaipur foot prosthetics to amputees. Our efforts ensure that the patient can take his first independent step, on the same day he comes to the camp. Ratna Nidhi’s Food for Education programs feeds 4500 children across 37 low income schools. The healthy hot meals sent from our kitchen everyday to 4500 children, have been instrumental in arresting dropout rates in these low income schools. The children are found to be more attentive in the class on a full stomach and our meals ensure a healthier future for them. A child that had to work hard the whole day to fill his famished stomach will no longer dream of finding his next meal, but a brighter future. At Ratna Nidhi Charitable Trust we are continuously trying to reach out to the children who have lost their parents in the terror attacks in Mumbai. We are committed to support them financially for their education and till date we have impacted 300 children through our Education Sponsorship Program for Terror Victims. This project now witnesses these children growing into young graduates with jobs to support their families. In the phase II of our Education sponsorship program, we intend to support 60 children (out of the 300 children) who aspire to continue their education. Generous donors send in thousands of used garments and educational materials to us. About 30 new deserving Ngos were added to our garments donation network from Mumbai as well as rural and semi urban areas of Maharashtra and Gujarat. Our educational books donation project supports schools and colleges across Mumbai and Maharashtra. These educational materials not only benefits one person but instead will be stacked in libraries for thousands of bring young students to refer and gain value. In order to have the right educational institute receive the appropriate books, we organize exhibitions where teachers are invited to select required books from an array of books sorted as per subjects. In times of catastrophes we collaborate with local organizations in the area to understand the need of the moment. Various materials of requirement are then shipped to the local organizations who subsequently distributed it to the affected people. Nepal Earthquake: We sent 3519 garments, 900 blankets, 16 cartons of biscuits and 1110 packets of sing/chana. Chennai floods: 4000 garments were donated along with 6 cartons full of utensils and 400 blankets. Distributed over 2.4 lakh mobility equipments to disabled patients free of cost since 2001. Donated over 10 lakh garments since 1992. Served over 2.3 crore meals to underprivileged children in Mumbai since 1998. Imparted computer literacy to 136 children and conversational English skills to 47 children in Mumbai since 2014. Provided over 300 children whose parents were victims of terror attacks with educational scholarships. Ratna Nidhi Charitable Trust is a nonprofit organization that was established in 1967 by Mahendra Mehta. It was set up in order to tackle the problems of poverty in Mumbai, especially amongst young children. From its humble origins as a family institution it has grown rapidly, and our projects have covered a wide range of activities located in both India and other developing countries. Ratna Nidhi strives to empower underserved children, youth and the disabled community by providing relevant support services like education, clothes, books, food and using innovative technology solutions in the area of disability.